Home / Shop / Posters / How did the rat get so fat? How did the rat get so fat? 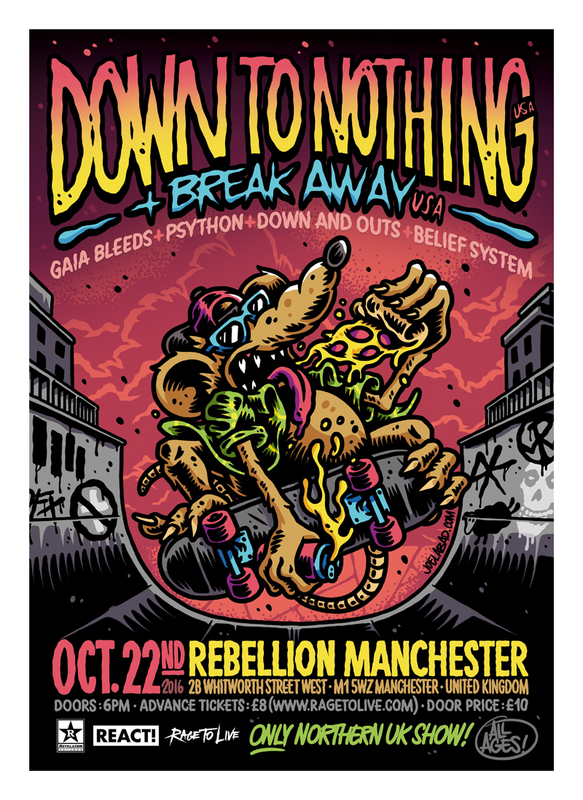 Signed and numbered limited edition giclée print of the Down to Nothing and Break Away poster for the October 2016, Manchester show.